In the wake of Italy’s Group Stage exit of the World Cup, Prandelli quit his post. But not without some parting advice to the nation who didn’t support their own team. One of the things he said was that “There has to be a technical project that starts from the youth academies.” And while most people think that focusing on youth means they should pile more hate on Balotelli, looking at Italy’s youth development is rather eye opening. 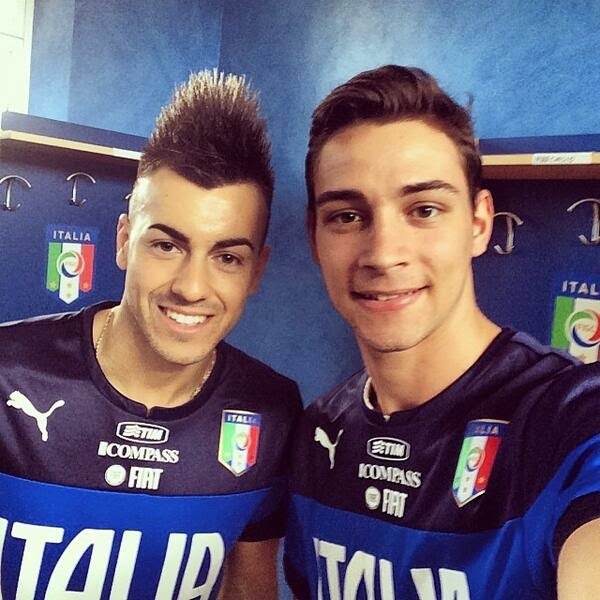 Despite having a number of young prospects that are well known, it’s almost as if youth players in Italy are orphans. These two players have found their home, but what about all of the others? Ahead of the World Cup, the Inernational Centre for Sports Studies (CIES) released a report via their Football Observatory on player development. This “Player Development Ranking – World Cup 2014” looked at players under the age of 23 who were trained by different clubs and in which countries, as well as how many matches these players started. So they rank the countries and also the clubs who have developed players who participated in the World Cup. Italy ranked 6th on the country list, behind every other European country of the five major leagues and also the Netherlands. France was at the top of the list, with 56 players trained in their clubs and 6,255 matches played by players under 23. In contrast, Italy had only 24 players with 4,704 matches played. Remember that the country rankings are not players who are native to those countries, but rather are developed in those countries. So other countries like Brazil or Colombia ranked lower because their young players are often playing in Europe instead of at home. Another source lists the number of league games started by players under 23 for this past season. This list includes all players under the age of 23, not just those participating in the World Cup. Opta released that data, and it tells virtually the same story: Serie A is fifth on that list with 79 games, only the Premier League is lower, with 68. 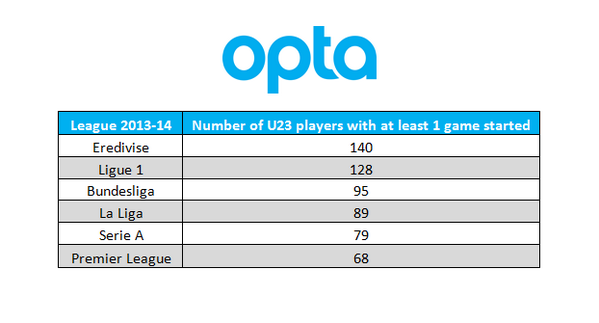 Looking at the Dutch Eredvisie, they had 140 games started by their under 23 players. You can argue the quality of play in the league, but Serie A doesn’t have as much of an argument any more. For me, it is very interesting to see how far Italy is behind in developing youth. After Calciopoli in 2006 and all of the financial fallout from that, so many big stars left Serie A for other leagues. With the economy in such a downward spiral, it made sense to bring in talented young players. And since the youth academies were lacking in this area, many clubs started looking at their youth academies and bringing in more players with talent. However, despite the loss of so many stars, the young players still did not get the playing time in Serie A. Clubs like Milan instead turned to more experienced players whose prices were marked down due to behavioral issues or injury or whatever. So not only did the level of talent decrease, the age of some of the players often increased, and the promising youth who should have been coming through the ranks were pushed out by unexceptional players. For Milan, this is also obvious when you look at the club ranking of the CIES report of World Cup participants. They are 87th on that list, while Dutch club Feyenoord Rotterdam is top of that list, with Barcelona second. Udinese are the Italian side who is the highest on that list, coming in at 25th, then Roma at 39th. Also telling is that Scudetto winners Juventus are 124th on this list. Isn’t it ironic, then, that co-ownerships, the one program that was aimed at encouraging clubs to help young players develop and get playing time in Serie A, was just abolished by the FIGC? Despite being the lowest ranked country of the five major European leagues, Italy look to be stepping backward, not forward. 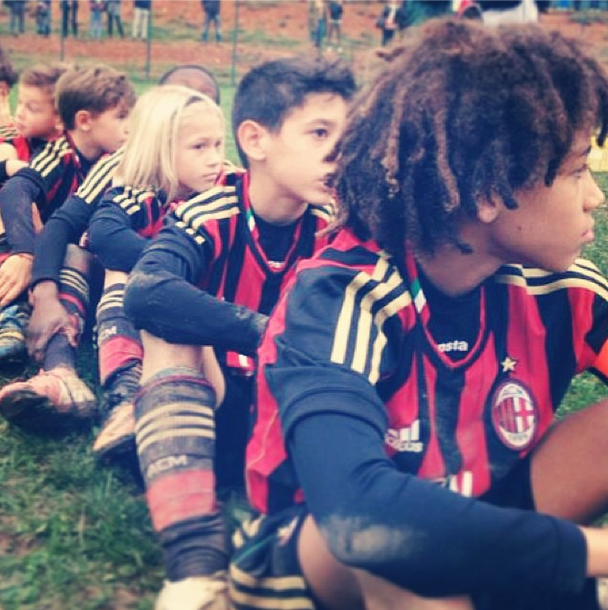 Do these little Pulcini have a future in Italy? At a time when Italy needed them most, the league has turned its back on its young players. Despite so many clubs rethinking their youth academies and claiming a new found commitment to youth, it still hasn’t come to fruition eight years after Calciopoli. And Prandelli is calling for a greater commitment to Italian youth, too, not just youth in general. Italy need to find the talented future Azzurri players and give them a chance to develop and get the needed playing time in Serie A. It’s like the parents whose kids are starving, but they buy food for other people instead. 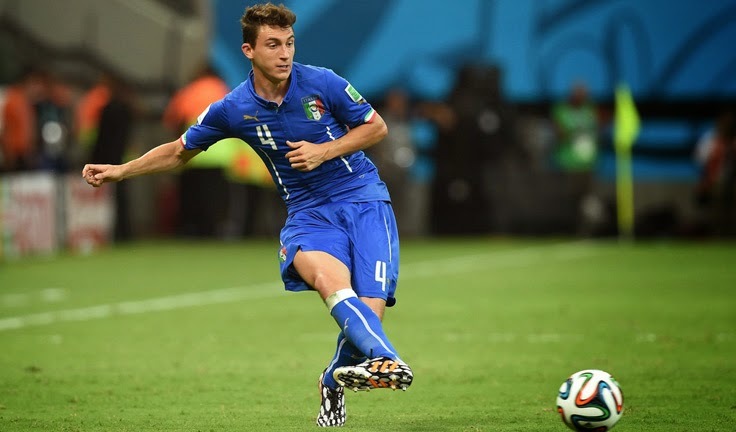 Italy and Serie A need their youth, and their youth desperately need the playing time. But instead, these young players find themselves orphaned to lesser leagues and never given the chance to properly develop. A very bleak picture for the future of youth in Italy indeed.